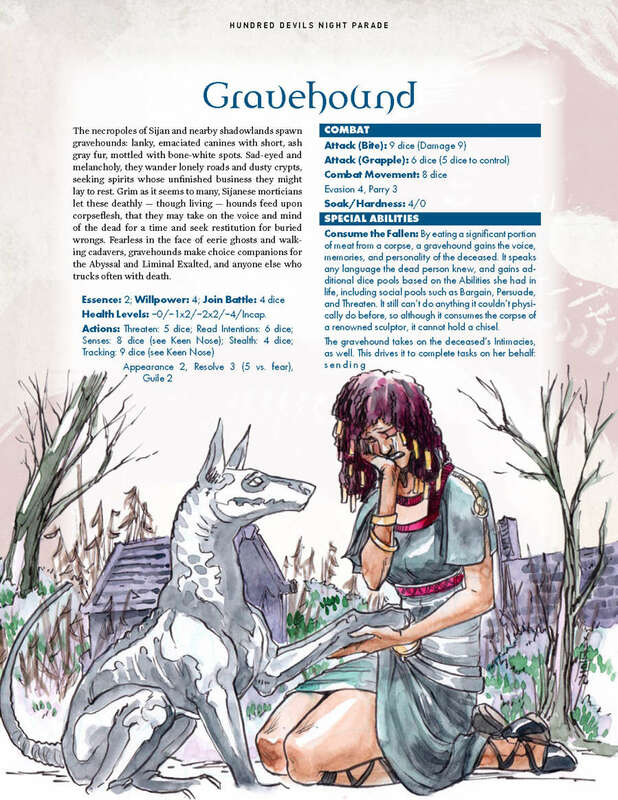 Now available in PDF via DriveThruRPG: Hundred Devils Night Parade part 17: Gravehound and Tiger’s Eye for Exalted 3rd Edition! 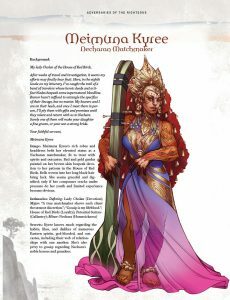 Kyree knows much regarding the habits, likes, and dislikes of numerous Eastern spirits… along with all the gossip regarding Nechara’s noble houses and grandees. 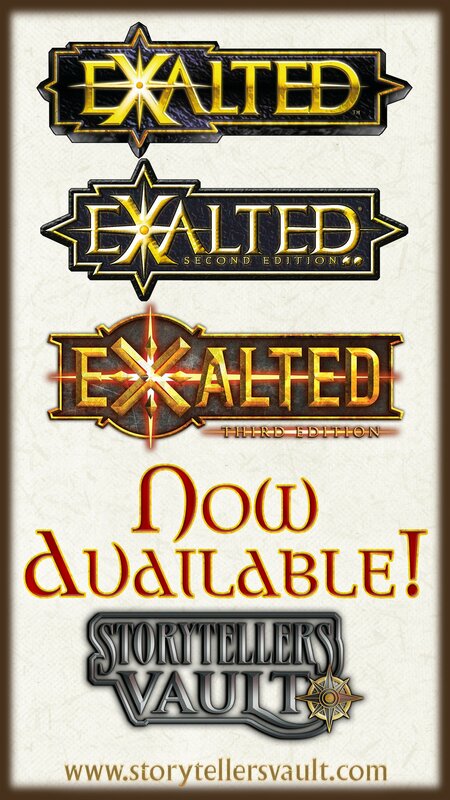 Scarred Lands material for both Pathfinder and 5e — including the Player’s Guide, Wise & the Wicked, the Spiragos trilogy, and Scarred Lands dice — is now available for order via Studio 2 Publishing! 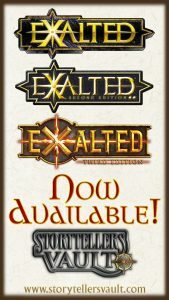 If you’d like your FLGS to carry Scarred Lands material, please let them know they can order from Studio 2! 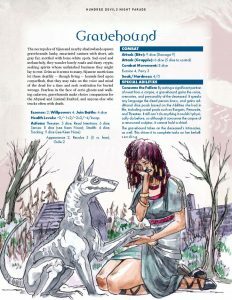 There are four and a half days remaining on DriveThruRPG’s massive 75% off sale for Vampire: The Requiem, Werewolf: The Forsaken, and Mage: The Awakening PDFs from every edition! Grab those PDFs while you can! 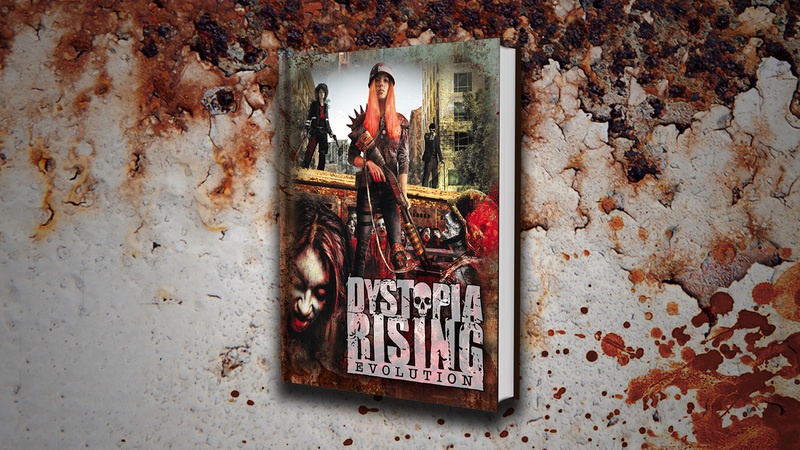 Our Kickstarter for Dystopia Rising: Evolution, the 2nd edition of the Dystopia Rising tabletop RPG, is now over! Thanks to intrepid survivors like you, we hit our goal in under a day, and achieved a total of at $39,608 (198% of the goal), with 736 backers. 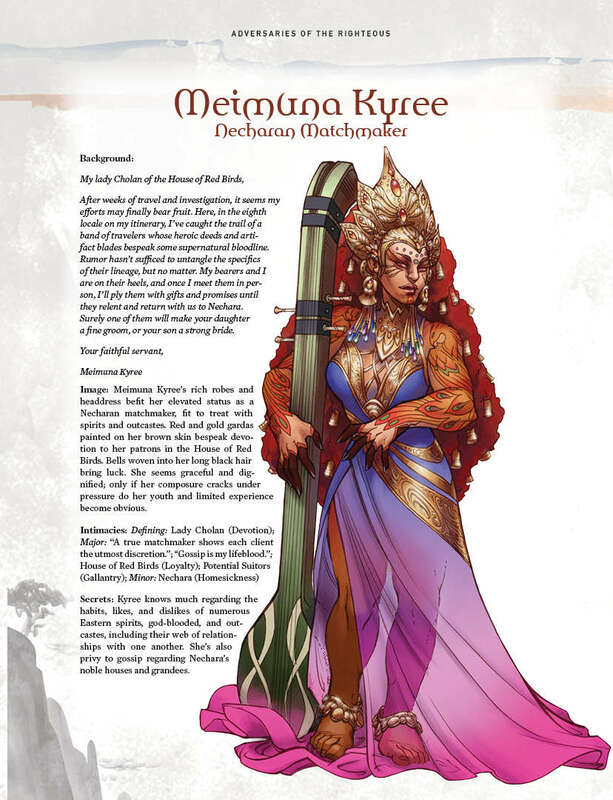 Our next Kickstarter will be for Vampire: The Masquerade 5th Edition’s Chicago by Night. Keep an eye out!